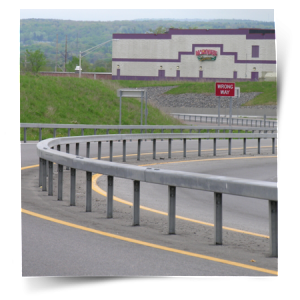 The purpose of guide rails is to protect vehicle occupants from roadside hazards, like drop-offs or fixed objects. To fill this need, the right kind of guide rail needs to be placed in the right location. It also needs the right maintenance. Damaged guide rails may not perform properly. When experience, a quality product and safety are important to you, let Anello Fence install your guide rail. We meet the standard specifications for guide rail installation in New Jersey. Here at Anello Fence, we have experienced personnel to help guide customers in choosing the right guide rail installation system to suit their needs with a cost-effective and aesthetically pleasing design. Call us to inquire.